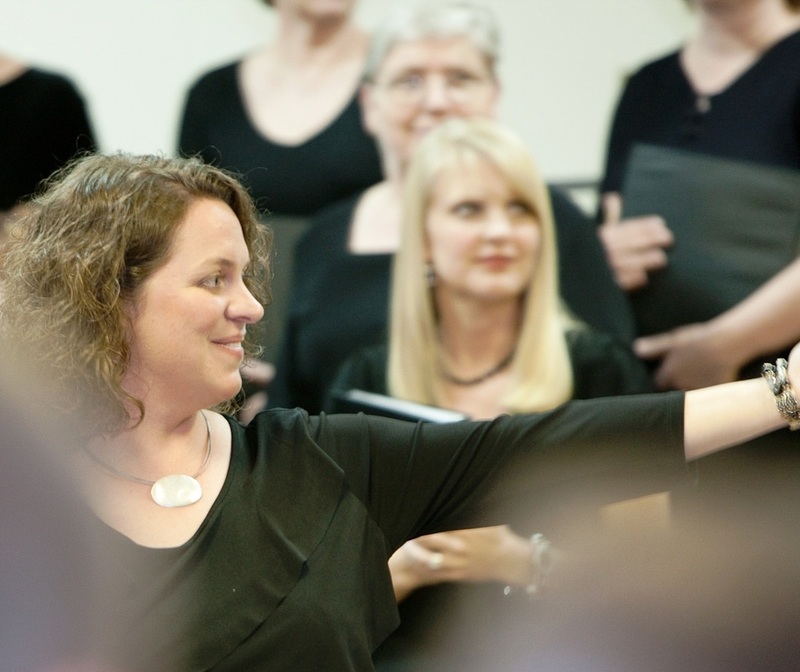 Lisa Gillespie has a great passion for choral music. She has been singing in, accompanying, and conducting choirs, since junior high. As she has moved around the country, she has been able to sing with choral groups all over including BYU Women’s Chorus and Concert Choir, the Salt Lake City Temple Square Chorale and select performances with the Mormon Tabernacle Choir, Chorus pro Musica (Boston), Oratorio Singers of Charlotte, and Las Vegas Master Singers. Lisa received a bachelor degree in music education with a choral conducting emphasis from Brigham Young University in 1998. Her career as a musician has led her in many directions including work as a choir teacher in the public schools, the owner and director a KindermusikÒ studio, a private voice and piano teacher, and an accompanist. She has also directed a number of choirs for local church congregations and other community events. As someone who loves the Boston Red Sox almost as much as choral conducting, one of the highlights of her life was conducting young adult choirs singing the National Anthem at Fenway Park on three occasions. Currently Lisa teaches a few private piano students, but focuses most of her energy and time on being a mother. She and her husband, Tim, have three young children, Gabriella, Claire, and Calvin. Whenever opportunity allows, they enjoy traveling, camping, and exploring as a family. Ashley has had twelve years of formal training and twenty-six years of experience as a pianist. Additionally, she studied violin from Oscar Carrescia, renowned Argentinean violinist and played violin in his Las Vegas Winchester Youth Camerata Orchestra for several years. As a girl, Ashley participated in Junior Festival piano competitions at UNLV, receiving superior ratings, the highest honor, three years in a row. While attending Boulder City High School, Ashley rehearsed and performed with Jazz Band and for drama productions, including "Grease" as single musician on the keyboard, and was a school choir accompanist. She had formal vocal training with Jeffrey Skouson, and in addition to volunteering as a pianist for her church accompanying children, adult choirs and soloists, she has performed many piano and vocal solos herself. Ashley received a Bachelor of Science degree at Brigham Young University majoring in Elementary Education. She taught fifth grade at Martha P. King Elementary for two years and also served as choir pianist there. She began teaching piano lessons while attending college and continues to do so in her home, while also keeping tabs her two children, James and Tessa. University of Louisville, Louisville, Kentucky). She has 30 years of teaching experience as a music specialist, orchestra teacher and string instructor and has also been a private instructor for violin, piano, viola and cello since 1987. She loves teaching, mentoring, team building and performing and is known for her patient and nurturing style. ​Some of Ms. Coker’s many awards include: Clark County School District Rave Review Award 2010, 2011; Boulder City Excellence in Education Award 2007, 2008, 2009; National School Orchestra Association Nevada Teacher of the Year 2007; Jefferson County Public Schools Outstanding Staff Award 1999. She has been elected to Who’s Who among America’s Teachers 4 times and has received numerous music awards for violin, piano, viola baritone, orchestra and band as well as awards and titles in gymnastics, dance and women’s fitness.